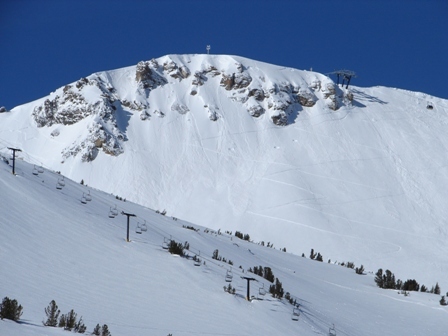 "Jeff did a great job working with me over several years with emails and updates in Mammoth. He was very easy to work with and always made himself available, even on weekends. I would definitely use him again or recommend him to others!" "Jeff was great! He followed through with everything. He was very honest and helpful, always got back to us and was very efficient. Thank you Jeff!" "We recently bought a condo in Mammoth, and both agree that Jeff is a superior agent: knowledgeable, thorough, quick to respond to all our questions and requests.....a trusted and respected professional (very patient too!). He knows the area and the market. It was a pleasure working with him; he easily earns our highest recommendation." "Jeff was my listing agent and was always available to respond to any questions I had. Even though my home was a lower priced listing, Jeff always treated me and the property with the utmost respect and professionalism. He was very knowledgeable and aggressive with getting the listing all over the web on all the real estate websites. I can recommend Jeff Warwick without hesitation." "Jeff was fantastic. He was extremely knowledgeable of the Mammoth Lakes area and did everything possible to make sure I purchased the condo I wanted and at the price I was comfortable paying. Being a first time home buyer and not living in the area at the time of purchase Jeff was amazing in relating all information I needed to me in a speedy and comprehensive manner. If you are looking for a home or condo in Mammoth Jeff Warwick is the only phone call you need to make." "Better than I could have imagined. I have recommended Jeff to several friends. He was very knowledgeable, professional, hard working and he paid attention to my needs. This was not the first time I have worked with him on a transaction in Mammoth...and most definitely not the last." "Had a very good experience just recently buying a property in Mammoth thru' Jeff. He was helpful and responsive and easy to work remotely with, for out of towners such as us. Thanks Jeff!" "Of the five houses I have bought in my lifetime Jeff was the best agent . He met and surpassed all my expectations. His knowledge, expertise, skills were great, I would recommend him to anyone needing to buy property in Mammoth..."
"Jeff helped us find and purchase a home in 2011 in Mammoth Lakes. His knowledge of the community gave us valuable 'insider' information that was extremely helpful as we live outside the area. Additionally, it was a challenging contract as the sellers had special circumstances that required patience and several months of negotiations, but Jeff kept the deal together, resulting in all parties achieving their objectives. Jeff was prompt, thorough and professional through each step of the process. His helpful suggestions insured that we were well served by all related parties through the close of escrow, and he went above and beyond on numerous occasions to make sure we settled in comfortably even after we closed. We were delighted with the process and are pleased to recommend Jeff's services." "Excellent experience. I spoke to Jeff on the phone from Los Angeles and told him what I was looking for. I drove up and he showed me properties on a Saturday, all of which were exactly what I was looking for. I selected one, we submitted the offer the same day. Monday the offer was accepted and we moved in 6 weeks later. Jeff was awesome." "Jeff paid attention to what I was looking for and didn't waste my time trying to show me stuff that either didn't match my criteria or may have been out of my price range just to sell me a more expensive property. He knew the area well and the positives and negatives to every property on the listings. He also called me promptly when as soon as properties were coming on the market that might interest me. He was upbeat and helpful, even when we had to deal with a multitude of problems while negotiating with the seller's bank. Overall, a great experience - I would highly recommend Jeff to friends and family." "Jeff helped us buy our vacation home in Mammoth. He was straightforward, professional, and listened to our needs. We saw many homes and I believe that we bought the best one in our price range. He is extremely knowledgeable in the local market which is imperative in a small community like Mammoth."